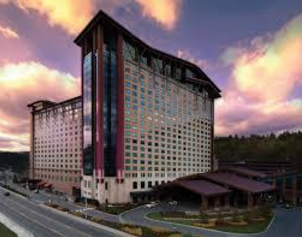 Located on Coushatta Dr. in Kinder, LA, Coushatta Casino Resort is Louisiana’s premier casino resort features a 100,000 square foot gaming floor, luxurious hotel rooms, a luxury RV resort, fabulous restaurants, live entertainment and more. The resort is managed and operated by the Coushatta Tribe. This entry was posted on Wednesday, October 21st, 2015 at 2:12 pm	and is filed under . You can follow any responses to this entry through the RSS 2.0 feed. Both comments and pings are currently closed.